Final Round, Board 1, Nick Moore (2120) (L) vs Arnold Banner (1800) (R) with Nick getting the win and finishing with a perfect 4-0 for the day! CFCC August Tornado Concludes With Clear 1st Place! The last of CFCC's Summer 1-Day Tornado's finished up last Saturday at UCF's Teaching Academy. 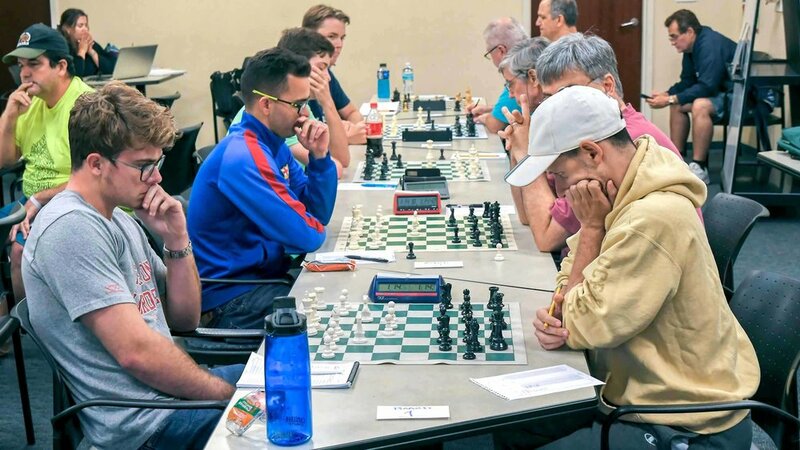 With a field of 15 players for the 4SS G/75;d5 event, congratulations goes to Nick Moore who scored a perfect score of 4 points and took home the $100 first place prize. Interestingly, four players had their only defeat against Nick who stayed on board 1 for all four rounds. Arnold Banner had a strong performance and was undefeated going into the last round before losing to Nick. Arnold and Mark Giovannetti (1976), who recently moved back to the area, tied for second place with three points and earned $50 each despite the fact that Arnold won when the two players squared off in round 2. Ryan Hamley (1957) and William Fink (1858), who both had tough losses to Nick, drew their final round to score 2.5 points each and sharing the U2000 prize. Sajan Gutta (1789) won the U1800 Prize with 2.5 points and Joseph Byrnes (1582) won the U1600 prize with 2 points. We would like to thank all the players who participated in our Tornado's over the summer. 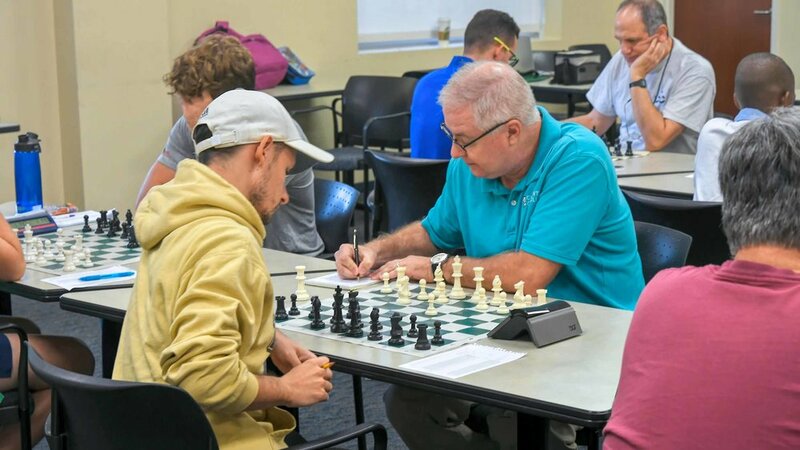 The club's next tournament event will be the CFCC Orlando Autumn Open & Scholastic being held at the Wyndham Orlando Resort on International Drive, September 22-24, 2017.